Just a short note today. We’re thawing a salmon fillet and picking rhubarb to get ready for the annual celebration at our friend’s farm. There will be bison burgers, grilled salmon, potato salad, pies, and a whole kitchen full of other delicious food. There will be several generations of friends — the grown-ups will talk about summer fishing trips and autumn hunting plans, the younger ones will jump on the trampoline or play on the swing set. 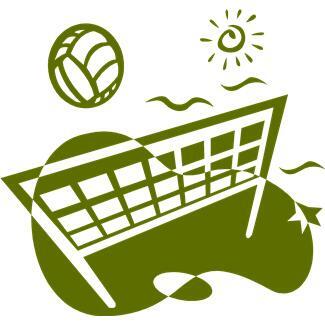 But the main purpose of the afternoon, besides celebrating Independence Day, is volleyball. This isn’t the beach game, or the indoor knee-pad version. This is farmer-regulation volleyball. We play it in a dusty field where the lines are marked by dragging a foot through the dirt. The rules are simple — get the ball to the other side of the net. Carrying? What’s that? As the evening progresses, you might even get away with a double-hit or helping your teammate’s serve clear the net. The older children who have watched this annual game for years will join in, learning the peculiar rules — don’t duck when the ball is coming at you. Instead, call “Yours” at the last minute and step aside so that your teammate has to dive into the dirt to save the play. If you have to take a break, offer to bring back drinks from the house for anyone who wants them. We play for hours. Our muscles give out well before daylight fades because this time of year it never gets truly dark. We hate to let the night end. As we’ve all gotten older and taken on the responsibilities of adulthood, this is often the only volleyball game of the year. So we have to make it count. Sounds like fun. Have a great day!